In this tutorial I will show you how to disassemble and replace a broken screen on Apple Macbook Laptop and others using an Apple Macbook replacement screen. The Apple Macbook notebooks come in 13.3 and 17.1 inch widescreens. This laptop screen replacement instruction can be used for many other Apple laptops including Apple Macbook A1181, Apple Macbook Air, Apple Macbook Unibody, Apple Macbook MB402LL/A, Apple Macbook Pro, Apple Macbook A1185 and others. The very first thing to do is to get the right Apple Macbook Laptop Screen at Laptop Screen Online or any other reliable screen supplier. Note: Before carrying out this replacement please have a look at the tutorial first and see if it is something you are comfortable doing. If you are not sure my advice is to pay a computer technician for the job. First, with the aid of a coin remove the Apple laptop battery. CLICK ON ANY IMAGES IN THIS BLOG TO ENLARGE IT. Removing the battery is very important to the screen replacement as failure to do this may result in damaging the laptop. The next thing is to remove the plastic bezel of the screen. By putting your fingers between the plastic bezel and the laptop screen pull gently to release the bezel from its catches. This should be carefully done to avoid snapping it. Use the image on the left as a guide. Apple Macbook bezels are very fragile and will easily snap if this process is not carefully carried out. After removing the plastic bezel turn it around and remove the clips that holds it to the body of the laptop. Use any flat object or flat screwdriver for this. After removing the clips that may have come off with the bezel you must now put them in place in the area where they should be as in the picture on the left shows. Next is to remove only the screws that holds the metallic framing to the back cover. The images should guide you. Please note that only the right screws should be unscrewed and these screws must be kept together seperately as they are very different in size to any other screws in the laptop. Use the images on the right. Next is to place a flat object between the screen metallic framing and the back cover as in the image on the left and move the metallic framing away from the back cover. Close the Apple notebook and place it vertically on the table and use a flat object to free the plastic inverter cover from the laptop. You should simply just pass the flat object up and down the small line fitting as in the image on the left. Put a flat screwdriver into the side of the plastic inverter cover and push up until the cover is released from its fitting. Please note that this area harbours the screen inverter so this must be carefully done. PLEASE NOTE THAT IF AT THIS POINT YOU ARE UNABLE TO REMOVE THE INVERTER COVER LEAVE IT THE WAY IT IS AND CONTACT A LAPTOP TECHNICIAN TO CONTINUE THE JOB. Now move the screen and its metallic framing towards you. The job now is to disconnect the screen from the metallic framing. The screen is held to the framing by little screwdrivers. Use the image on the left to guide you through where the screws holding the screen and the metallic framing are. Unscrew them and keep them seperately. By moving the wires on the sides of the metallic framing you will find the screws to unscrew on the sides of the laptop screen. Place the Apple Macbook screen face-down on the keyboard area and remove all tapes holding the screen cable and camera cable. Remove the screen cable connection at the back of the screen and also remove the cable connection to the camera. Carry this out with utmost care. Remove the camera cable carefully. At this point the screen removal procedure is almost complete. At the hinges area disconnect the lamp cable from the inverter by pulling it out. The job of the screen inverter is to provide power to the lighting of the laptop screen. After all this process the screen removal process is complete and successful. To install a new screen simply carry out the replacement procedure in reverse order. In this tutorial you will learn how to replace a broken screen on HP Pavilion DV6 series and others using Hp Pavilion DV6 replacement screen. The HP Pavilion DV6 Laptop series come solely with 15.6 inch widescreens with resolution of 1366 x 768. This laptop screen replacement instruction can be used for many other HP and Compaq notebooks including Hp Pavilion DV7, HP G60, G61, Compaq Presario CQ60 and CQ61 and others. The very first thing to do is to get the right HP DV6 Laptop Screen at Laptop Screen Online or any other reliable screen supplier. This replacement instruction can be used for but not limited to the series; DV6-1210SA, DV6-2010SA, DV6 2112SA, DV6-1250, DV6-2114SA, DV6-1340SA, DV6-1211SA, DV6-3110SA, DV6-2030SA, DV6-1131EA, DV6-3125SA, DV6-3111SA, DV6-2114SA, DV6-2010TX, DV6-1330SA, DV6-1140EA, DV6-2113SA. Always order the right screen for your laptop. The HP DV6 series screen can be a tricky LCD screen to find as it may come in CCFL, LED bottom right connector or LED bottom left connector screen type. It is best practice to ask the screen supplier about this before ordering if you are not sure. The very first thing is to remove the laptop battery before starting the screen replacement. Failure to do so may result in damaging the screen or the laptop during installation. HP DV6 laptops come solely with two screws on the outside bezel area. Remove the screw cover with the aid of a flat screwdriver as shown in the picture on the left. Removing this covers on both sides at the lower part of the laptop will expose the two screws. Simply use a precision screwdriver to unscrew the them. As per the image on the right simply put your fingers between the plastic bezel and the laptop screen, pull towards you to release the bezel from the laptop. Do this carefully on all four sides of the bezel. Most people may find it a bit hard to pull but a little bit of pull needs to be applied for a successful replacement. There will be an occasional clicking sound coming from the bezel and this is caused by the release of the clips holding it together bezel to the laptop. After the plastic bezel is successfully removed this will expose the internal part of the laptop screen area. At the top part of this area you will fine two screws holding down the hinges arms to the laptop. Unscrew them and keep the screws separate. Next is to pull the screen towards you a little and remove the screws on the sides of the hinges arms. Do this on both sides of the laptop. This arm is designed as the main structure holding the screen together. This arms also aids the opening and closing of the laptop after use. Removing the side screws exposes the back of the laptop screen. Place the screen face-down on the keyboard area to give good access to the screen ribbons and cables. Now you can see the screen cable and the connections. The screen we have in the tutorial is LED and comes only with one connector which will be at the bottom left or right depending on you DV6 type. This connection is held together by a clear tape which you will need to peel off (up) first. To disconnect the cable from the connection you will need to pull away from you as in the picture on the left. This must be done very carefully as not doing it right may cause a damage to the cable. The Hp DV6 screen removal process is complete. To carry out a new screen installation simply carry out the instruction is reverse. Dell, Apple, Toshiba, Fujitsu, Compaq and even Acer laptop screens may come and go, but the work you do, the projects you complete and the media you catalogue could be irreplaceable. Backing-up data tends to be one of those things that ends up being put off “for later” (like replacing the batteries in the TV remote or cleaning out the gutters!) We’re a computer technology-based company, which means we’re fanatical about things like laptop display care, keeping up to date on the latest component technologies and – of course – backing-up. A very wise person once said that there are only two types of internal hard drive – one that’s about to break... and one that’s broken! Backing-up data in more than one place is simple, and could present the best type of insurance for your particular needs. Fancy losing your entire thesis? Or starting from scratch on a project brief you’ve been toiling over for three months? So, what are the options? External hard drives tend to be the back-up medium of choice for most folks. These days you can get 1TB for around the £50 mark online. Most computers contain simple-to-use back-up programmes to help layman users back-up easily. CDs and DVDs are available in both permanent and re-writable format. Permanent data products tend to be cheaper, and certainly present the better option if you want to make sure your data can’t be erased. Finally getting around to replacing damaged laptop and netbook screens can feel a little like finally getting the balding tyres on your car replaced – surely one more day will be fine? But, as with car tyres, there is a point at with it becomes dangerous and foolhardy to put off repairs. Whatever caused the crack in your laptop display, it’s not going to heal itself by magic. A computer that’s rarely moved tends to outlast one carried on the commute, but in both cases the crack will do nothing less than spread, becoming more of a hindrance to usability and internal function. Laptop and netbook screens are very, very sensitive. If your laptop appears to be in working order after a hole has been created in the screen, it’s living on borrowed time! A hole in the laptop screen means environmental detritus and dirt can easily enter the internal area of your computer, perhaps damaging it irreparably. A badly-fitted or loose laptop display isn’t just frustrating; it can contribute to some pretty serious internal component issues within your laptop. It could be that an issue with your laptop’s hinges has led to the screen’s structural integrity. Tightening the hinges using manufacturer-recommended methods may help restore the stability of your laptop screen. However, if the problem does not lie with the hinges, a replacement screen is the only way to provide protection from external factors whilst re-establishing the highest level of usability. No matter how careful we are, there’s always the chance of a spilled coffee, an ill-timed misstep (that results in you searching for Dell replacement screens on our website!) or an errant meteorite causing damage to a laptop display! One of the main reasons we set up Laptop Screen Online was because of a significant trend towards laptop damage being focussed around laptop displays. Our international service provides brand name solutions from the likes of Toshiba, Apple, IBM, Sony and Dell replacement screens. One of the central points behind our low price promise is that we know how easy it is to fit a laptop screen, even for a layman. We’ve tried to make installation instructions as simple to understand as possible, and we know how a picture can say a thousand words, hence the detailed installation photos and guidelines on our “Laptop Screen Fitting Instructions” webpage. We can keep costs down because we’re not sending a specialist out to perform a task you can do yourself. Even in the case of folks who might not be confident installing the replacement screen themselves, we understand that a lot of you have family and friends who are fairly tech-savvy. Put simply, we know you don’t want to pay extortionate prices for something your fourteen-year-old niece could do for you! If you’re having trouble identifying which laptop screen you need or understanding your particular laptops screen needs, head over to our “Contact Us” webpage and get in touch with a Customer Service Representative. With the right cleaning and care a laptop display could last for many years. Of course, accidents happen, drinks are spilled, and sometimes the kids might boot a football across the home office and right through the very latest model from Toshiba laptop screens! First off, things to stay well away from on the quest for long laptop screen life. Wet towels meant for an entirely different purpose e.g. facial cleansing wipes or baby wipes. This type of wet wipe will simply push the dirt around the screen and leave a damp film behind. Also steer clear of synthetics like polyester cloths. Paper towels can leave scratches, so leave them in the kitchen where they belong! If you’re opting for a DIY job rather than buying specialist products, go for something 100% cotton. Old clothes, bedding etc. could make an ideal budget cleaning tool. There are plenty of specialist products out there to keep your Toshiba laptop screens in top condition. The most popular purpose-made cloths tend to be made from anti-static fabric (like the ones you get free with new glasses) They remove grime and dirt without the need for any extra cleaning components. In cases where stubborn dirt removal is the issue, isopropyl alcohol-infused micro-fibre cloths can offer fantastic cleaning capability. Just be sure that the product you buy is specifically recommended for use on laptops screens. It’s also possible to buy isopropyl alcohol/distilled water solution for laptop screens if you prefer to apply the liquid to a compatible micro-fibre cloth yourself. Our area of expertise is, of course, replacement laptop display for big brand names like Acer, Samsung, Toshiba and Dell laptops screens. However, we’re also a company founded on a lifelong passion for computer technology, information and care. Laptops and netbooks can go pretty much everywhere these days. The odds of catching a bit of Wi-Fi on a camping trip in Snowdonia are pretty good, and where would we be without a little laptop-bound entertainment on the commute? Simply put, laptops and netbooks travel A LOT, so here are a few simple tips to make sure your laptop display, housing and internal components travel safely, securely and free from damage. • Invest in a decent laptop bag that can carry all relevant peripherals too. It might sound elementary, but finding the right bag for your needs can make all the difference. For example, folks who cycle to work have very different protection requirements for their Dell laptop screens and netbooks to those who frequently travel by plane. It could pay to source a bag that doesn’t look entirely like a standard laptop case in terms of crime prevention. • Never travel with disks in relevant drives or USB connectors plugged in. • Carry a light, easy to use laptop stand. It’ll mean you can use your laptop on uneven or textured surfaces without hindering the heat transfer system. • Think about shock absorption. A laptop mat or padded stand could significantly reduce the stress of movement on your laptop. With the best will in the world, accidents can happen to the most cautious of us. As laptop display repair specialists we see all manner of bizarre and unlikely fates befall laptop and netbook screens, but perhaps none as common as a good old liquid spill accident! Here are a few expert tips to help minimise damage and get your laptop back on its feet. But remember, in cases of severe spill damage, quickly enlisting the services of a professional may be the best option. 1. You need to stop the flow of power to your laptop ASAP. If you’re working on a project when the spill happens, remember that seconds are important. Avoid saving your work unless you’re certain it’s more important than the laptop itself. Unplug the mains power supply if connected, turn off your laptop (you may need to hold down the power key for 5-10 seconds) and remove the battery pack. 2. The most important internal components and the laptop display need to be separated from the liquid quickly. Open the laptop to a 90 degree angle and position upside down (a bit like a tent) to encourage liquid away from sensitive laptop/netbook screens and internal parts. Laptops tend to fare better when liquid gathers or drains via the keyboard and edges of the casing. 3. It may be that a few days in a well-ventilated place (an airing cupboard is ideal) out of direct sunlight is enough to dry-off your laptop and restore it to working order. Avoid random turn-on’s to check it’s progress and leave WELL alone until you’re sure it’s dry. In this tutorial I will show you how to change or replace a laptop screen on Acer Aspire 5742Z, 5742, 5552, 5552G, 5551-A, 5551, 5750 Laptop series. The Acer Aspire 5742Z, 5742, 5552, 5552G, 5551-A, 5551, 5750 Laptop series come solely with 15.6 HD LED LCD widescreens with resolution of 1366 x 768. This laptop screen replacement instruction can be used for many other Acer Aspire laptop series. The very first thing to do is to get the right replacement screen for your laptop. Listed below are links specifically to the right screens for the Aspire series at Laptop Screen Online. For this replacement you will need precision screwdrivers and the LCD screen. After getting right screen for your laptop then you are ready. First remove the laptop battery as notebooks with LED screens are very sensitive to charges when carrying out works on them. It is very important to remove the laptop battery before carrying out the replacement. The Acer Aspire 5742Z, 5742, 5552, 5552G, 5551-A, 5551, 5750 laptop series come only with two screws at the two bottom sides of the bezels. This replacement instruction should be followed very carefully as any mistake could result in damaging the laptop the more. The image on the left shows how you will take the screw covers off which will then expose the screws holding down the bezel to the lower part of the laptop. Remove the screws after taking the cover off. This screw should be kept safely so as to not to mix it up with others. The next thing is to place your fingers between the screen and the bezel as shown in the picture on the left and start pulling slightly on all the sides until the bezel is pulled free from the laptop. This needs to be done carefully as doing it wrongly or forcefully will result in snapping the bezel. The Acer Aspire 5742Z, 5742, 5552, 5552G, 5551-A, 5551, 5750 bezel is very fragile and easy to snap so you must do this with care. You must not pull too hard. After the plastic bezel is removed the next thing is to remove the two screws at the top and all the side screws on the sides as shown in the image. There are three screws on the sides holding the screen tight to the hinges arms. Make sure all the screws are well places so as not to have them mixed up. Removing the side screws will then free the screen from the laptop leaving only the screen data cable left to deal with. This is the area where utmost care should be taken as the cables are very fragile and snapping it will require you to buy a new one. As the Acer Aspire 5742Z, 5742, 5552, 5552G, 5551-A, 5551, 5750 series laptop comes with LED screen and there is only one data connector at the back of the screen. Carefully pull up the clear tape holding down this screen data cable and pull the data connectors apart. This must be done with care as any mistake may cause a permanent damage to the cable or the connector. The screen removal process is complete. To replace the screen you only need to carry out the instruction in a reverse order. Only buy original laptop screens as regular screens may not give you same quality and screen brightness control. Good luck!! Like many people, you might lead a somewhat hectic life. The demands of work and your home may mount up and leave you with little time left for yourself. In order to reduce the risk of your stress levels rising out of control, it is important you are tactical in your approach to the tasks you face. By ensuring you do any chores and other such things as efficiently as possible, you can leave yourself with more time to relax. For example, if you need to source replacement Acer laptop screens, you might benefit from heading to us here at Laptop Screen Online. You may have a few spare minutes during a break at work, or perhaps after you have put the kids to bed at night, in which you can peruse the offerings we provide via our easy-to-use website. By taking this approach to finding a Dell Inspiron replacement screen, or other similar item, you avoid the need to travel to retail outlets either by car or public transport, potentially saving yourself considerable time and effort. Meanwhile, once you have decided which replacement Dell laptop screens or other items to go for and placed your order, all you have to do is wait for the items to arrive through the post. Also, you can make use of our detailed fitting instructions to help ensure you do not experience difficulties getting the items up and running. So, to make your life that little bit more straightforward, come to us when you require new screens for your laptop. Below are some of the Acer and Dell Replacement Laptop Screens We stock at Laptop Screen Online. Laptops are great. They have revolutionised the way in which people use computers and thanks to constant innovation in the industry, they are becoming ever more impressive. Such products represent the ultimate in convenience. They can be taken virtually anywhere in the world and many of them are small and light, meaning they are not burdensome to transport. However, it is precisely because of this level of convenience that they have a tendency to suffer damage. For example, if you have owned such a device, you may have accidentally scratched or broken its laptop display. Perhaps you failed to store it properly while it was in transit, accidentally dropped it or spilt liquid on it, for instance. These things are easily done and they can cause you considerable problems. Indeed, you might have even considered getting rid of the device, assuming that because the screen was no longer working properly, you needed to buy a whole new laptop. This simply isn't the case. By heading to firms like us here at Laptop Screen Online, you source yourself a new Dell Inspiron replacement screen, or whatever it is you require. We have a range of such products that we can dispatch to an address of your choice in no time and at great value prices. Indeed, by getting your hands on replacement Dell laptop screens and other such provisions, you can provide your laptop with a whole new lease of life. To find out more about what we have to offer, simply take a look around the rest of our website. If you rely on your laptop, you are by no means alone. Many individuals cannot function successfully without having access to technology like this. For example, you might need the computer in order to complete your work. Also, like an increasing number of people, you may use such devices in order to communicate with friends and family, regardless of where in the world they live. So, if your laptop display breaks, you might fly into a slight state of panic. After all, purchasing a whole new laptop can be very pricey and you might not have the funds available in order to do this. Meanwhile, if you were to take the item to a repair shop, you might have to wait a long time to get the device back and you may get charged a lot of money. The good news is, there is another way to get your hands on replacement Dell laptop screens and other such provisions quickly and easily and that is by coming here to Laptop Screen Online. Not only do we offer a vast array of such provisions at great prices, we can also deliver them to you in no time. Indeed, you can even arrange next day delivery, meaning you will not have to be without your laptop for long at all. By taking advantage of such services, you can minimise the amount of time you have to make do without your laptop. To see our full range of offerings, including our Dell Inspiron replacement screen, simply take a look around the rest of our website. Portable computers are a relatively new invention. Just a few decades ago you would have needed a wheelbarrow to take your computer from home to school or work. These days a netbook is no bigger than a hardback novel and it's so much more powerful than the early computing pioneers ever imagined a machine could be. Screens and displays have changed radically. Not so long ago the state of the art computer screen showed green text on a black background. The first greyscale (black and white) monitors soon followed, and then came colour, but the evolution of the computer screen was only just getting started. From four basic colours came 16, then 32, then far more. A basic Dell LCD laptop screen may display anything up to 26000 different colours, and there are some that can do far better than that. Colour is just one aspect of display performance. State of the art Mac or Toshiba laptop screens produce far less glare than their predecessors, which makes on-screen images and text much easier to see. They're less stressful on the eyes and more suitable for long-term, everyday use. Burn-in is also less of a problem these days. Old screens used to suffer if they had to display a single static image for a long period, so developers invented the screen saver. If a computer was left alone and the screen view unchanged for too long, it would automatically switch to an animation to prevent burn-in. For a modern Dell Inspiron laptop screen, burn-in isn't a problem. That's one of the many ways displays have improved over recent years. Replacing laptop and netbook screens is easier than most people think. You don't have to be able to build a computer from scratch and you certainly don't need to know what every tiny component does. Most reasonably tech-savvy people can do themselves without too much trouble. We can provide everything you need to take off the damaged display and get the new one up and running. Let's say you need to replace a Dell laptop screen. The first thing you need is the part number from the laptop. It's usually on a sticker underneath the keyboard, fairly clearly displayed. Note this down and use it to search through our site and find the perfect replacement display. Before ordering, check that you've got a screwdriver suitable for taking the old screen off. If you don't have one the right size, there is no need to visit the hardware shop with your broken laptop in hand. We also sell screwdrivers for screen removal and installation purposes. When your package arrives it will contain a carefully packed Dell Inspiron replacement screen, full and detailed installation instructions, and a screwdriver if you ordered one of those. That's everything you'll need to fix the display on a damaged laptop. If you're in a hurry, we can arrange next day delivery to UK addresses, and if it turns out that a replacement screen just isn't enough to get your machine running again, we'll let you return the parts for a refund as long as they're in the original condition. Cutting-edge laptops and netbooks may look slim and delicate, but manufacturers put a lot of effort into making them tough enough to stand up to everyday usage, travel, and even the occasional serious knock. One way they do that is to make the laptop display almost a separate unit, so if that bit does get damaged, it can be replaced without the need for a whole new computer. Screens will always be fragile, but if they break, it's not the end of the machine. If a Dell laptop LCD screen has a crack in it, the CPU and all the other important and expensive components may be fine. They're hidden away under the keyboard, not behind the screen. Most laptops produced today also have accelerometers. If a computer is switched on and it gets dropped, the clever accelerometer notices the sudden fall and sends a message to the computer, triggering an immediate power cut. If it's quick enough the laptop will be shut off before it hits the ground. There will be no electricity flowing through the delicate electronics at the moment of impact and the chance of serious damage will be significantly reduced. Modern laptops are sometimes surprisingly good at surviving accidents, although there are limits. We sell a wide range of replacement Dell laptop screens and displays for other brands, and a whole variety of other parts. Even if your laptop has been dropped down stairs or tipped off a table while switched on it may still be fixable with the right parts. A broken laptop is a useless laptop, and these days many of us rely on having a computer at hand. Whether it's for work, for university or school, or to stay in touch with friends and family, order groceries, and even make phone calls, our laptops are indispensible. When they get damaged it can cause major disruption to our lives, or at least irritating inconvenience. In general, laptop and netbook screens can be easily replaced if they are damaged and the rest of the machine is left intact. Most people who are handy with hardware can do it themselves- although we do offer an installation service for those who aren't confident- and it doesn't take long. We can arrange next day delivery to almost anywhere in the UK and send express parcels anywhere in the world. We keep a huge number of different spares in stock, so we've almost certainly got what you need. If you're looking for a Dell Inspiron replacement screen, there are dozens of different choices in the catalogue, and Dell is just one brand of many on this website. Whatever your laptop or netbook is, it's pretty likely that we'll have the right screen for you and will be able to despatch it ASAP. To replace a Dell laptop screen you'll also need instructions. There is no need to seek out a manual or spend hours trawling the internet for instructions. They'll be included with the replacement part. Don't worry- it shouldn't be long before your laptop is up and running again. It's relatively easy to tell whether you need to be looking at Toshiba or Acer laptop screens, but beyond that it can be difficult to identify the exact model that will suit your computer best. They range from tiny netbook displays to 17" luxury widescreen models, and each one is designed to mesh with a fairly specific computer. Knowing the model name isn't quite enough- there is a world of difference between replacement Dell laptop screens to fit old Inspirons and those that suit the brand new version. Finding the exact model number is usually pretty easy. Some laptops and netbooks list it above or below the screen or just above the keyboard. If you can't see it when the laptop is open, check underneath. There is often a sticker with all the serial numbers, part numbers, and technical details on it. That'll give you all the information you need to order the precise screen to fit your machine. Part numbers are usually labelled as such but, if f you're in any doubt as to which number you need, we provide information on this website to help you. There is no need to measure your screen or take the laptop apart. A Dell laptop LCD screen with the right part number will automatically be the right size, so there is no problem there. 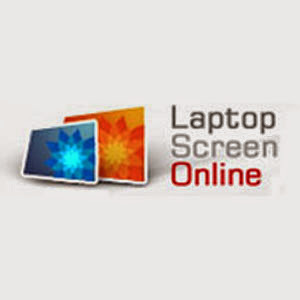 We keep a wide range in stock and ordering through Laptop Screen Online is quick and simple. We also provide full installation instructions with all our replacement screens. Laptop Screen Repair – What are Your Options?